Fritz Muller was born in Munich Germany 1879. He became famous for his realist portraits of fisherman, monks and various other characters. He managed to capture the mood and spirit of his subjects while adhearing to an exquisit realist technique. Later in life Mr. Muller concentrated on drawing. He was also a Brewmeister in line with his German heritage. 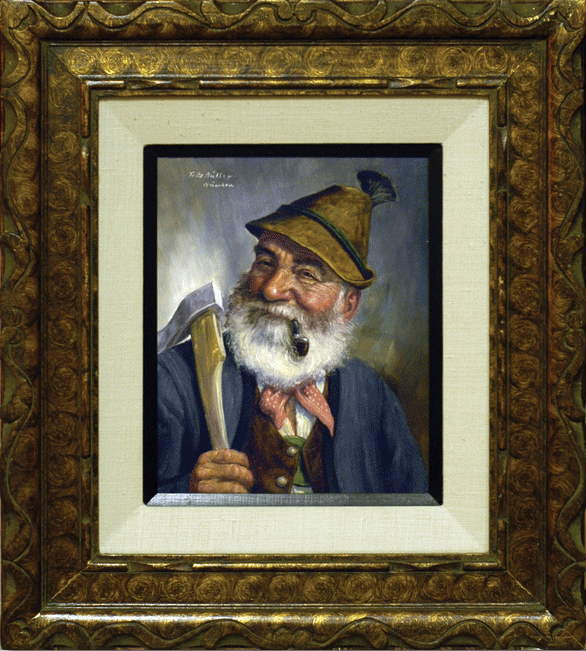 Mr. Muller spent most of his life in Munich and always signed his pieces Fritz Muller Munchin. He is a listed artist with strong auction records.